In the first part of this three-part series, I detailed how the Africa-ICC relationship is mired in an unhelpful and harshly dichotomous impasse. All of the relevant actors – African states, the ICC, and observers of international criminal justice, are complicit in reifying this stalemate, one which does more to obfuscate than illuminate the intricate and complex relationship between African states and the ICC. In this second post, I will explore three recent cases – the surrender of Dominic Ongwen to the ICC, the visit of Omar al-Bashir to South Africa, and the prosecution of African heads of state – in order to demonstrate that the relationship between African states and the ICC is far more dynamic and complicated than typically portrayed. The view that the ICC is either a neo-imperial tool of the West or a misunderstood force for good does injustice to our ability to understand and assess how African states engage and interact with the Court. 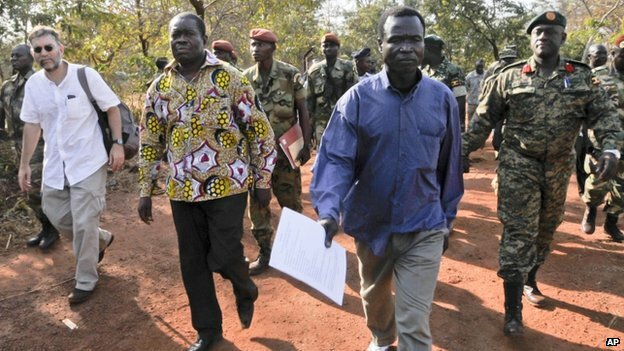 Earlier this year, Dominic Ongwen was captured in the Central African Republic and surrendered to the ICC. For nearly two decades, Ongwen had been a senior commander in the Lord’s Resistance Army (LRA), a notorious rebel group that has been engaged in a brutal war with the Government of Uganda since 1986. 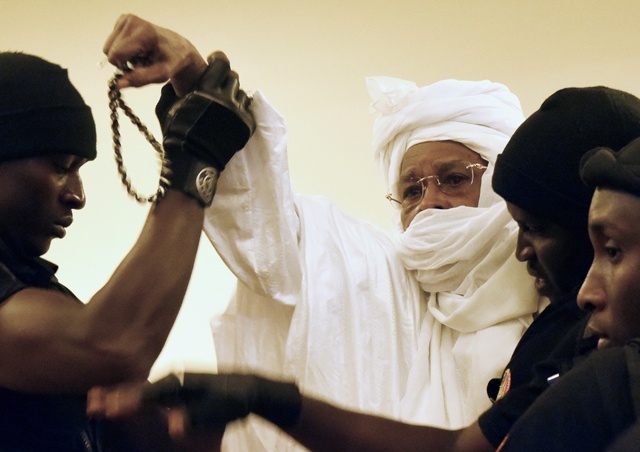 He was also one of five individuals indicted by the ICC in 2005 – and one of only three that is still alive. This selective targeting of LRA commanders has legitimated the government of Uganda by helping to foster a narrative that presents the government as a ‘good’ and ‘legitimate’ force fighting against an illegitimate band of crazy criminals. However, despite benefiting tremendously from the ICC’s intervention, Museveni has emerged as the ICC’s harshest critic amongst African heads of state. Thus, when it emerged that Ongwen had been captured, many wondered what the government would do. Which Museveni would stand up? Would Museveni cooperate with the ICC or not? The story itself is worth outlining as it demonstrates just how many moving political pieces were at play in what has otherwise been treated as a simple surrender to The Hague and victory for the Court. First, the US could not surrender Ongwen to the Court. Old anti-ICC legislation from the Bush era, the American Servicemembers’ Protection Act (2002), prevents the US from providing any material aid to the Court. So that nixed the first option. Firstly, putting Ongwen on trial in Uganda would have been a massive political headache for the government. Ongwen was 10 or 14 (it isn’t clear) when he was abducted by the LRA. He then spent twenty-some years fighting in the bush. The fact that Ongwen was a child soldier and thus an LRA victim has re-ignited a passionate debate in northern Uganda where many, if not most, citizens still support amnestying and re-integrating former rebels who were abducted as children. Had President Museveni insisted on keeping Ongwen, he would have had to prosecute Ongwen – thus attracting the ire of many northern Ugandans. Doing so would also run directly counter to Museveni’s political interests. His party, the National Resistance Movement, would have risked reversing many of the political gains it has made in northern Uganda in recent years. Instead, Museveni can now stand aside as northern Ugandans criticize the ICC for prosecuting a former child soldier. Not only that, but Museveni can claim that he did not, in fact, have anything to do with Ongwen’s surrender. After all, it was the CAR authorities who sent the diminutive former rebel off to The Hague. No one can argue that Bashir’s visit wasn’t a low point for the Court. While this wasn’t the first time that Bashir had travelled to an ICC member-state (the Sudanese leader had previously visited the Democratic Republic of Congo, Kenya and Nigeria), Bashir’s visit to South Africa was somehow worse because the country has traditionally been a strong supporter of the ICC and is a significant regional leader (not to mention a growing international power). But we need to take a deeper look at what actually happened when Bashir visited. First, it was apparent that Bashir had to skulk around the Summit conference. Unlike his fellow leaders, he received no red carpet treatment and no photo-ops with South African officials. In fact, Bashir really only showed his face the day after his arrival – during a five-hour-delayed group photo. Still, it is worth highlighting that Bashir was the only African leader who had to flee South African rather than return back home following the Summit. Moreover, the ruling now makes it a virtual impossibility that Bashir will be able to return to ever return to South Africa. The high court’s decision set a precedent and clarified the international and domestic legal obligations of South Africa – something the government simply can’t ignore or wish away. One of the most contentious issues that has arisen between African states and the ICC is the question of head of state immunity. Indeed, African states and the African Union have been almost exclusively critical of the ICC when heads of states have been the Court’s primary targets – in Libya, Sudan and Kenya. Justice is justice, whether it is done in Africa or elsewhere in the world. The important thing is let justice be done. Whatever evidence the prosecution has in Senegal, I think they should proceed to make it available to the world and prosecute him according to international law and human rights. 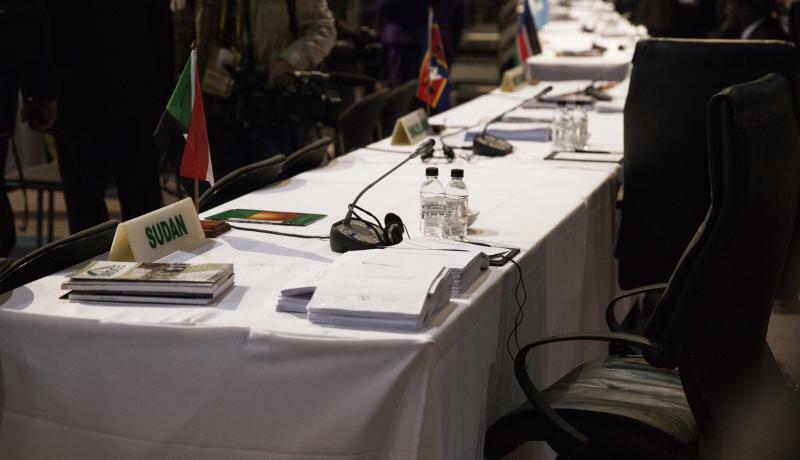 Lastly, all three of the African states on the UN Security Council in 2011 (South Africa, Gabon and Nigeria) voted in favour of Resolution 1970, referring the deteriorating situation in Libya to the ICC. Later, some African states criticized the ICC’s intervention and even called on the Security Council to defer the Court’s investigation for at least a year. But it would be disingenuous of those states and, quite frankly, disrespectful of observers, to maintain that these states did not know that Gaddafi would be the primary target when that referral was passed. That was simply too obvious – the resolution itself listed all of the Court’s eventual targets! 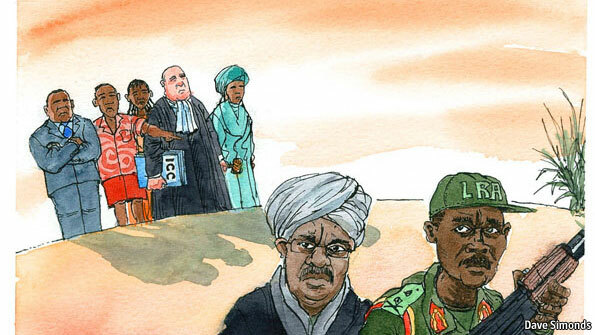 Ultimately, African support and criticism of international criminal justice is selective. And why would we expect it not to be? Indeed, what states are not selective in their support of international justice? The answer is simple: none. Here, there is some danger in holding African states to a higher standard when it comes to selectivity, insisting that African states should somehow be less selective or less political in their engagement with the Court. Doing so would truly be biased and unfair. None of the cases described in this post can be explained by relying on the dominant understanding of the Africa-ICC relationship – that the ICC is either a neo-colonial tool unfairly picking on African states or that it is a misunderstood “Court for Africa”. When actual cases don’t fit with dominant thinking, there’s an obvious need to reframe the debate and ask a new set of questions. But that, of course, is the subject for next week. This essay was originally posted for my Courtside Justice column at Justice Hub. Video | This entry was posted in Africa, African Union (AU), Central African Republic (CAR), Chad, Child Soldiers, Darfur, Democratic Republic of Congo, Dominic Ongwen ICC, Hissène Habré, International Criminal Court (ICC), Ivory Coast / Côte d'Ivoire, Ivory Coast and the ICC, Lord's Resistance Army (LRA), Omar al-Bashir, Senegal, Special African Chamber (CAE), Sudan, Uganda, UN Security Council. Bookmark the permalink. So , unless insane in legal terms , or other recognized justification , once , he was over 18 years , and post : 2002 , no legal justification can be found . But I guess that moral ones , could you specify ?? So , I am not so sure , that you haven’t underestimated the liability of the branch executive there , all by stating , that they hadn’t turned actually , against the pre trial chamber order or arrest warrant , of Omar Al Bashir . Reading the verdict , carefully , reveals , an unbelievable chain of defaults . What would emphasize much more , that screw up here . Many thanks for this comprehensive comment. I will reply to each issue in turn. 1) My understanding is that the OTP will argue that, while Ongwen was a child soldier and no crimes committed by him prior to the age of 18 will be prosecuted, since he became an adult he has committed crimes that cannot be excused by the fact that he was previously a victim of the LRA. I think they will attempt to show that Ongwen’s crimes were guided not by fear of survival or reprisal from other LRA commanders but because he wanted to increase his power and stature within the rebel group. 2) Of course, there are lots of things and issues that I could not cover in my essay. The liability of the executive branch is one and, here, it is also interesting to note that a number of civil society organizations in South Africa are demanding criminal prosecutions for those who violated the court’s ruling on arresting Bashir. 3) This is very interesting and I appreciate you pointing out the specifics of the South African Constitution here. It would seem to make the claims of those who believe 1) the government was wrong to host Bashir in defiance of the ICC arrest warrant, and 2) that there should be criminal proceedings against government officials who planned his visit, all the more stronger. Thanks for your comments (I’ll reply momentarily). We have had some issues with overly personal, aggressive and, at times, inappropriate comments in the past and so decided to change our policy whereby we need to approve all comments before they appear on the site. We haven’t had any problems for a while now and if that continues, I’ll change the settings again to allow immediate comments. Thanks for your understanding and for taking the time to comment. Widely perceived by whom? You, like a few in the West, seem to have bought a line that has been peddled by African “leaders”, most of whom should be in the dock in the ICC. Have you actually considered what most Africans think? Have you considered the possibility that most of the African “leaders” peddling that “neo-colonial” line might not actually believe it themselves? The “African ICC problem” was mostly about African “leaders” working to protect themselves. Note the “was”. Take a look at all the demands and claims etc that the AU types made, in “extraordinary summits” etc. Take a look at noise that ended up at the 2013 ASP, with demands for reforms and whatever. All that has been forgotten since Uhuru Kenyatta got off the hook. There is a bit whenever Omar Bashir gets spotted some place, but that is routine. When the Ruto case ends with the inevitable acquittal, that will mark the end of two long and expensive cases that were, in many ways, handled quite badly. What some people don’t realize is that the Omar-in-South-Africa matter is related to that: after all that’s been said and done, the ICC has suffered tremendous damage with the collapse of those cases, and many have been emboldened. And why should they not be when it appears that the OTP built an apparently large and complex case on the strength of the made-up words of a few petty criminals? Many thanks for your comment, OtishOtish. In the first part of this series, I wrote that I don’t believe the anti-ICC sentiment is simply being whipped up by certain African despots. When I travel, I hear the criticism of the ICC’s bias all of the time – not only in Africa or amongst Africans, but in classrooms in Europe and in North America. I hear it from people in the media and fellow academics. Again, in the first part of the series, I discuss how the neo-colonial / neo-imperial critique is false and instrumentalized by some African states (see here: https://justiceinconflict.org/2015/07/17/the-africa-icc-relationship-more-and-less-than-meets-the-eye-part-1/). However, the view that there is some bias (be it political or structural) has, rightly or wrongly, become persuasive – and increasingly persuasive, amongst various constituencies. It’s not something that can simply be swept under the rug and needs to be tackled directly. Since quite a bit of time, I do no more agree (not usually at least) with what “otishotish” writes – be it here, be it on Jukwaa, be it under his other name on Facebook. But here I have to concur with him. Fully. Okay, fullier. The pretence with which Mark’s mini-essay series starts (and which is repeated with remarkale redundancy in every sequel anew, and several times), is indeed mostly that: a pretence. But in reality, it is not the ICC that has has a problem with African states – rather, it’s African states who have a problem with the institution of the ICC. And many Africans – those Africans to whom Mark purposeful refuses to listen – know this exactly. But they are wananchi. Or worse, they are that dreaded stinging breed: human rights activists. I concede so much: to criticize them and disawow them, it at times quite licit. Many have bolstered and upholstered their warm and cozy nest quite comfortably with the proceeds of the inexhaustable Grants Cornucopia (Ford Foundation, Soros). And their constant and harrowing repetition of the same truths might earn them the spite of an academic who is more looking for originality and controversy, trying to cultivate a scholarly detachment from either “side”. But ultimately, it is the finely condensed amicus curiae brief of AFRICOG, or the flaming arrows of Fergal Gaynor in his last generic 49 pages application to the PTC II against OTP, that unearth the truth about the conflict. Not the Court’s public information strategies and tacics have failed; legally ignorant and most times corrupt African media are it who have failed and are failing, serially. Otosh Otish expericences this first hand, and so do I. Mark however doesn’t; because his very essay after all is not what it purports to be: not at all “critical”. When he refers to the Kenyan High Court’s newly “established” International and Organised Crimes Division, a very laughable travesty indeed, his mere reference amply shows that he does not all _know_ to what he refers, nor the Kenyan national judiciary at all. We however know it from a grounded inside perspective. The ongoing article 87 (7) appeal in the second Kenyan case (the “PNU” group of suspects) only corroborates this quite aptly. As much as the somewhat undue visit of the president of the ASP in Kenya, which was reported today. The intent of Sidika Kaba is to influence the appeals chamber, on behalf of the usual suspects, and to dissuade it from deciding the aforementioned appeal on 19th August in a manner that would deliver the affair to the ASP. His rather sycophantic own press release of 12th August makes this unmistakeably clear. His message is: don’t even bother handing over your non-cooperation “finding” to the AS, because I will do my worst to ensure that we will not sanction it anyhow. That is funny in a way – because the appeals chamber had already before been worked on and influenced by several states parties (behind the curtains), namely by those who essentially pay for the Court and its upkeep. “Diplomacy” this is called by the author in his third sequel. So, will the judges of appeal instead defer to the rather undiplomatic signal of an African former functionary, trying now to shield African culprits brothery, all the while excusing non-cooperation and open sabotage of justice? If they really would, they could as well abandon their judicial jobs altogether. The thing is no civilized nation should prosecute Ogwen. He was kidnapped at 10-14 yrs. He was raised in a forest by rebels and has no formal education. Does he really have the capacity and knowlegde to understand right from wrong. At the ICC he is not entitled to the defence of diminished capacity, lack of knowlegde or that he was following orders. No prosecutor in the Western world would prosecute him only at the icc.